Everyone loves a good deal, and most of us go out of our way to bargain-hunt during the festive season. Don’t forget though – the holidays are not just about spending. They’re also about spreading cheer, so remind your customer how much they mean to you with a simple ‘Happy Holidays’ email. Here are four examples that made us feel warm and fuzzy. The inbox is a noisy place at the best of times. In the run up to the holidays, with brands battling to grab the attention of consumers, it can be tempting to shout even louder with more promotional content. Instead, show your subscriber that you value them – it’ll speak volumes about your brand. This email from Fabric does just that, simply saying thanks and wishing the recipient a happy holidays, a refreshing change from urgent call-to-actions (CTAs). Eating too much chocolate, wearing silly hats, eagerly peeking in your stocking on Christmas morning… The holidays bring out the inner child in all of us, so embrace it and be playful with your email marketing. 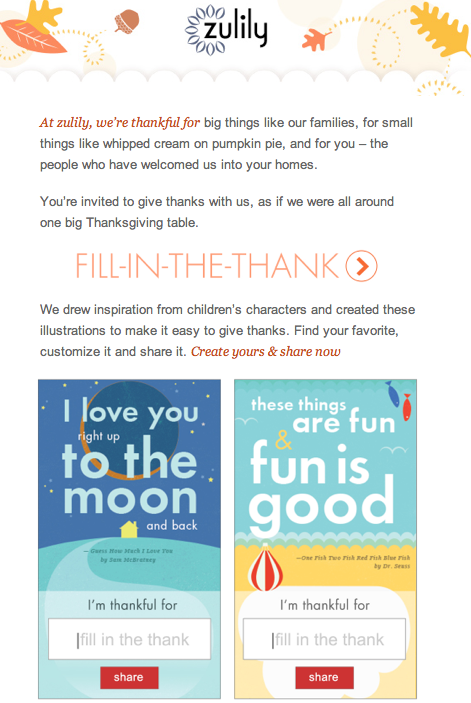 Add a gamification element, just like Zulily, who combined saying thank you with a fun interactive feature. The user doesn’t have to click through to take part and they can easily share the content, driving exposure through social proof. Make sure your email complements your brand’s personality and highlights your strengths within your industry. 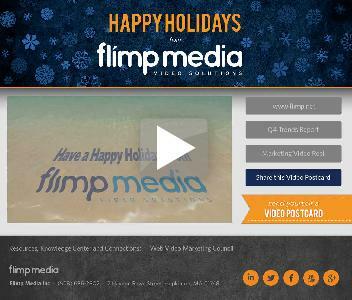 Flimpmedia uses video marketing – why not? After all, it’s what they do for a living. The subscriber doesn’t have to read a great deal of text and it adds sound and movement to the message – providing a multisensory experience for the reader. During the holiday season, everyone loves to embrace strange traditions, like leaving out mince pies for Santa. Even if your marketing medium is digital, you can be traditional. This message from Paul Smith hits the nail on the head here, resembling a simple ‘handwritten’ card. Signing off with a first name and a kiss creates the sense that the brand cares for the individual and that they have a close relationship. Making each individual feel special in a mass email is what email marketing is really all about. Use these campaigns as inspiration and you’ll be sure to secure yourself a place in your subscriber’s heart (and not their junk folder). Which types of campaign have you tried out this holiday season? If you’ve any great tips or ideas, gift us a comment below!